Tampa Bridal Showcase from Leslie Harris-Senac on Vimeo. Visions Unlimited Video Productions had the honor of filming The Fashion Show at the Tampa Bridal Showcase, along with Jamie Michelle Photography. Inspire Entertainment provided live music, Puff ‘n Stuff Event Catering provided food sampling. Lauren Martin shot beautiful photography. Enchanted Beginnings brought gorgeous honeymoon & wedding trousseau. Thank you to datz Catering for providing lunch & to the staff at A la Carte Event Pavillion for hosting a fabulous bridal showcase! 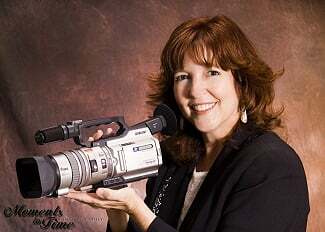 Sarasota videographer gives advice for your wedding video. Leslie and Mark love to video Siesta Key Beach weddings.